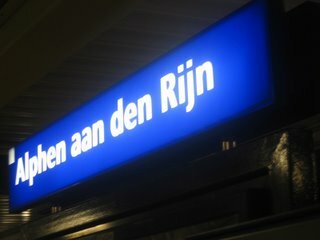 The city of Alphen aan den Rijn had the annual "Jaarmarkt"-festivities again. 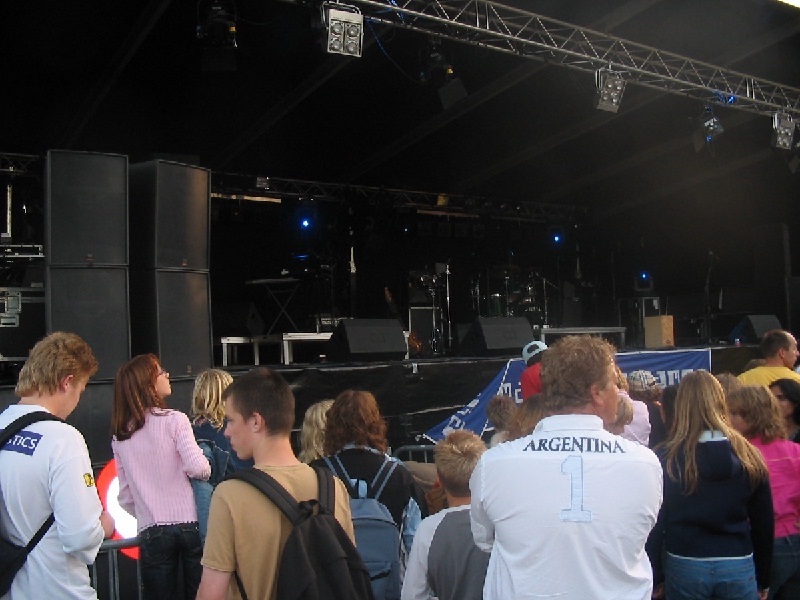 Each year, more or less famous artists are invited to perform there. This year, Kayak was part of an open-air event with 3 other artists. 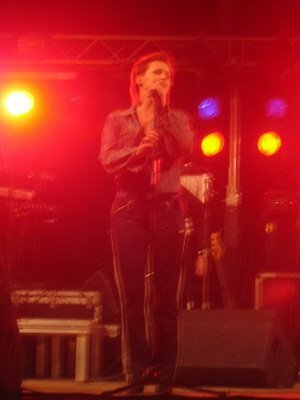 Just to give you an idea: first there was Floortje, runner-up of 2006 "Idols"-competition in Holland. She can actually sing, but her fans are mainly (very) young boys and girls. 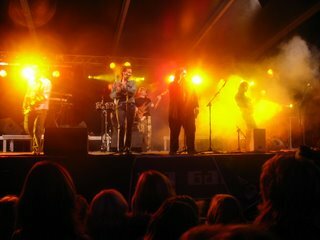 The third artist was Brace, a Dutch R'n'B singer. Again, an artist for the younger people. And in between, there was Kayak... The MC of the night announced them as a band that started in 1972 (correct), and immediately concluded that this was music for people older than 45 (correct??? ), almost apologizing to the kids for having to listen to this bunch of oldies before their hero Brace would play. He then added that Bert Heerink was the lead singer (...). Anyway, to my surprise most youngsters stayed on "Paradise Square" when Kayak took the stage. The weather was amazing, and many people of all ages joined the schoolkids. In the end, I think there were around 1500 spectators, in the age of 6 to 66. But the main question remained: Would Kayak be able to cope with the challenge of playing for people who could have been their grandchildren? The answer is: yes they certainly would. The opener "What's In A Name" was received with neutral applause; the kids obviously had to get used to the sight (and noise!) of real guitars, drums etc.. But after that, each song received more and more response from the crowd. And frankly speaking, this fully electric show was -in my opinion- better than the two acoustic ones that I witnessed so far. The stage was big, there were not too many changes of instruments, so the show had a good pace. Some songs from the acoustic set worked just as well (or better) in an electric setting. And with the exception of "Royal Bed Bouncer", all songs were played perfect or almost perfect. The vocals were great, with Jan now also singing backing vocals! Joost was the only one not singing. 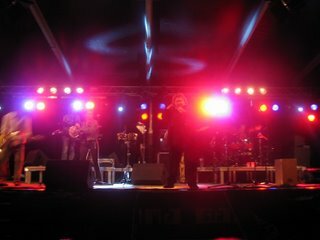 Mind you, the fourth artist of the night was singer/radio presenter/pub owner/politician Henk Westbroek. 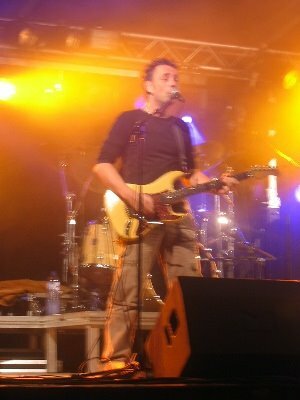 Joost was in Henk's band, doing guitar and backing vocals! (see picture). 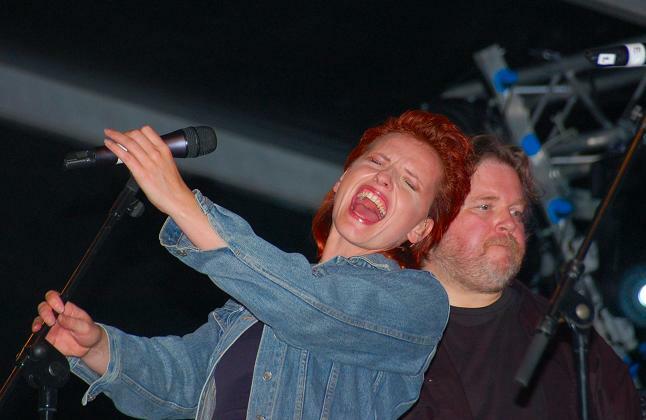 In fact, Joost is a better singer than Henk Westbroek (but then again, so are you and I...). Like I said, the show was received positively by everyone. Kayak convinced the audience with their professionalism and their great tunes. I am sure the band left Alphen with a good feeling! As you can read from the setlist, this was a unique concert: Ruthless Queen wasn't played! Of course Kayak had planned it as the encore. But immediately after the last tones of "Chance For A Lifetime", the MC entered the stage to thank Kayak and announce Brace in one breath. Even the organisers of the evening were surprised; the evening was running ahead of schedule, so there was no need at all for this hurry! But no-one could stop this madman, so this was an abrupt ending, after 75 minutes of enjoyment. Setlist (maybe not in the correct order): Intro See See The Sun, What's In A Name, Only You And I Know, Anne, See See The Sun, Ivory Dance, Royal Bed Bouncer, Wintertime, Merlin, The King's Enchanter, Branded, When Hearts Grow Cold, Lyrics, Act Of Despair, Starlight Dancer, Chance For A Lifetime. Unfortunately, I will not be seeing Kayak in Haarlem, Veldhoven and Harderwijk. 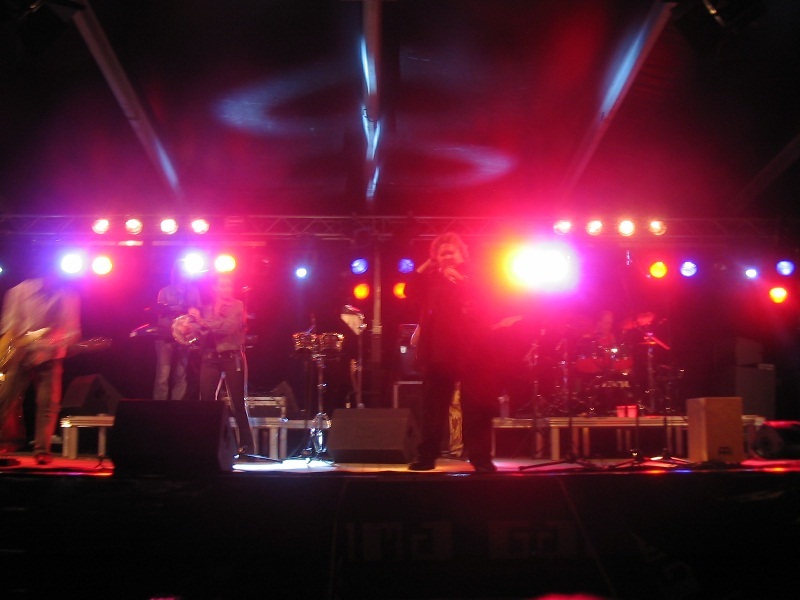 But on 7 october, the band will visit Alphen again, this time for a show in a decent theatre. I'll report from that occasion as well! 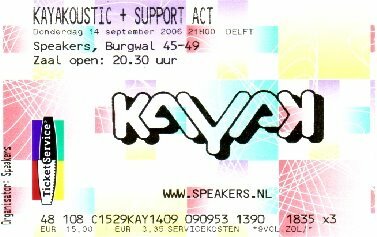 The second Kayakoustic show was at Speakers in Delft. After an entertaining support act, Kayak climbed the stage at around 10pm. Unfortunately, only around 150 people had found their way to the venue, but that didn’t spoil the enthusiasm in the band. The setlist was more or less the same as in Harlingen. “Wintertime” and “The King’s Enchanter” were skipped, as the show had to end before midnight. The sound was clearer and more balanced than in Harlingen. Ton’s keyboards could actually be heard, and the vocals (Edward, Cindy and Rob, but also great backing vocals from Ton and Pim) were perfect. Also nice to hear Jan's various bass sounds! Only Edward sounded a bit hoarse now and then, but that didn’t influence the overall performance. Like I said, it was more or less the same as Harlingen. The differences: the lightshow in Delft worked, Edward played the recorder in vain (couldn’t be heard…), and he completely forgot the lyrics to “Act Of Despair”. Ton, Pim and the audience helped him to get re-started, and then the usual perfect rendition followed. What struck me: the crowd, small as it was, was genuinely interested. During the many quiet passages, nobody took the opportunity to talk about the weather or make other disturbing noises. No beer glasses were scattered, no shouting, breaking wind or the other obvious ‘concert crowd sounds’. The merchandise stand sold ‘Kayakoustic’ t-shirts for the first time, in all shapes and colours. Of course, they also sold Kayak CD’s, but unfortunately there is no ‘Kayakoustic’ album (yet…? ).